1) This spring seasonal from HopDog is called Gose and the Pussycats. If there is an award for the best beer name of the year, this one has to be a frontrunner. It’s a great name. I loved it so much that I bought eight bottles right off the bat. But I may be a bit biased. My daughter’s name is Josie, so Josie and the Pussycats has some specific relevance to me. 2) It’s a gose, which means it has salt in it. And even though I know what a gose is, and know how refreshing they can be, I still think it’s weird to make a beer with salt. I mean it’s SALT. That’s weird right? 3) HopDog being HopDog, they had to make an already weird beer even more weird. So brewer Tim Thomas soured it with lactobacillus bacteria and, after adding salt, it got aged in oak barrels cured in seawater. But, in an unusual turn for HopDog, there’s precious little in the way of hops here. That must have been hard for Tim to handle – maybe his next beer will be a quadruple IPA to make up for that. 4) The result is a very refreshing beer. The salt rushes in at first and I was expecting to be overwhelmed. But just at that moment, it backs off and the wheat and citrus character of the coriander comes in. The salt is always there, but it’s never salty. If that makes no sense to you, just try one – you’ll understand. 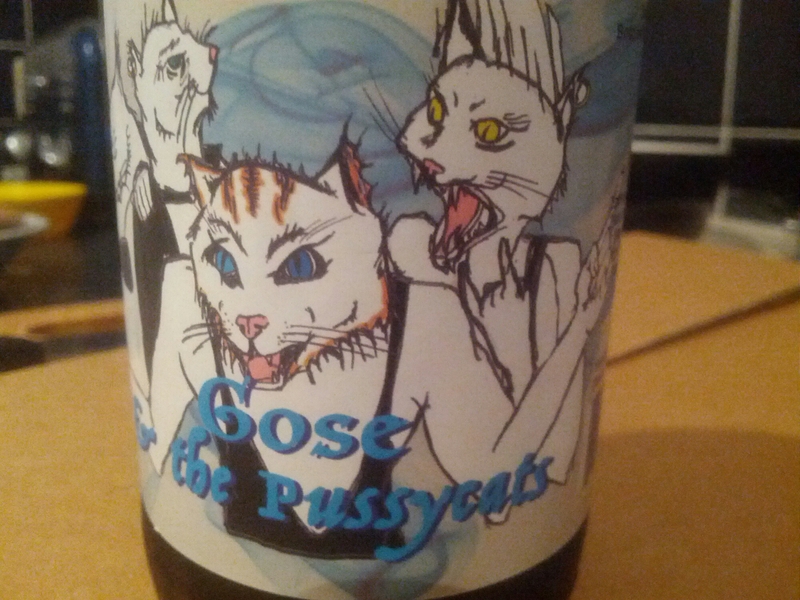 5) For those of you you don’t get the joke in the Gose and the Pussycats here’s where it comes from. And, even after all these years, Melody the drummer is still the star as far as I’m concerned.